The leading independent specialist for windscreen replacement and windscreen repair based in Liverpool and serving all of the Liverpool area. National Windscreens Liverpool fitting centre provides windscreen replacement and windscreen repair services to businesses and individuals throughout Liverpool and the Liverpool area. 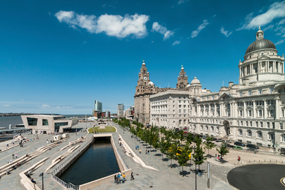 The city of Liverpool is located on the North West coastline of the UK in the borough of Merseyside. The city itself sits on the Mersey Estuary and as a result much of its history is based around imports and exports from its docklands - now renovated into the Albert Dock mixed use development. Liverpool is linked to the south and Chester by the M53 and to Manchester in the west by the M62. Recent redevelopment of the city centre has seen the opening of Liverpool One, a large retail centre which attracts thousands of visitors. The Liverpool windscreen fitting centre and its mobile vehicle glass technicians service the needs of Liverpool and the surrounding area including Birkenhead, Wallasey, Bootle and Huyton. With 108 fitting centres and over 800 mobile technicians, National Windscreens operates the UK's largest windscreen repair and windscreen replacement network. The company provides low cost, high quality windscreen replacement and windscreen repair from its Liverpool fitting centre 24 hours a day, 7 days a week, 365 days a year. Repair and replacement of all types of vehicle glass including windscreens, rear windows and side windows is undertaken throughout Liverpool and all of the Liverpool area.